Turn conversations on Olark live chat into actionable sales leads in Highrise’s simple CRM. Track the people you chat with, what you talk about, and when to follow up. Olark live chat software helps you talk to customers as they’re browsing your website and determine whether they’re sales leads. 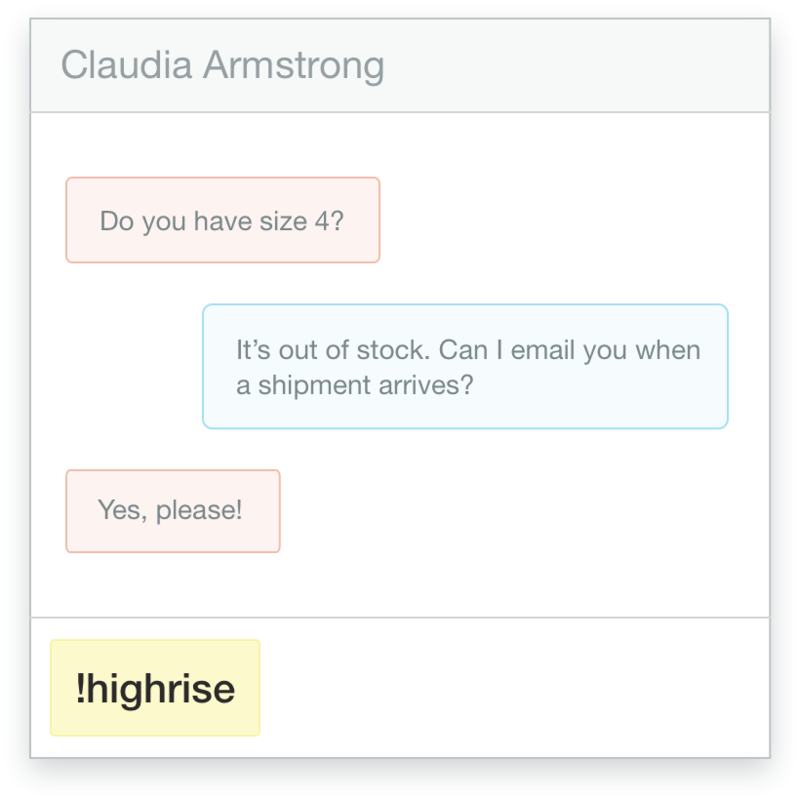 If they are, you can use the Highrise CRM integration to send leads to your CRM without leaving the chat. With a lead captured, your team can track the status of a prospect, add tasks, assign owners, and see a lead through to a completed sale. The Olark and Highrise integration is the power of simple live chat and simple CRM combined! During any Olark chat as an agent, type !highrise and hit enter. 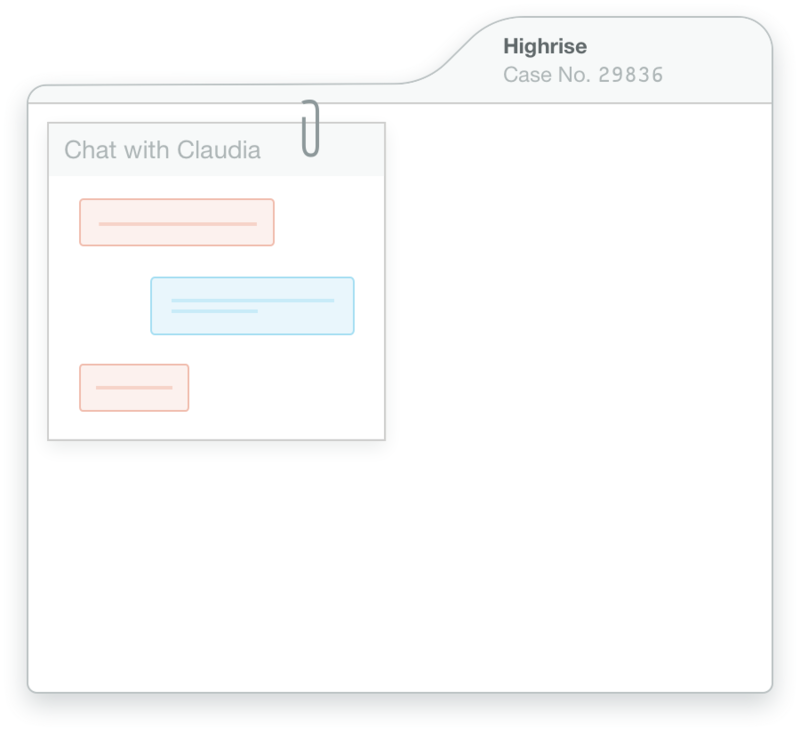 We’ll create a case in Highrise with your chat attached. Voila! Here's a how-to guide for connecting Olark and Highrise. Ready to turn on the Olark and Highrise integration?